Lauren Quense has been one of the best pitchers in the Atlantic 10 all season long. 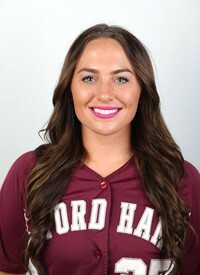 Fordham senior Lauren Quense has been one of the best pitchers on the best team in the Atlantic-10 for the past three years. However, she will be graduating in just a few weeks. In her time as a Ram, Quense has won three A-10 titles, is on track for a fourth and has also cracked the programs all-time top-10 lists for appearances, starts and wins. 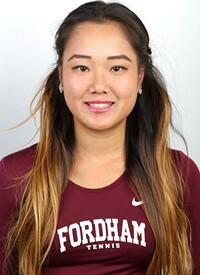 She sat down with The Fordham Ram to talk about her time in the Bronx and about her final few starts before graduation in May. 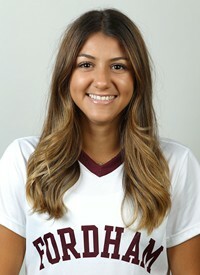 The Fordham Ram: When did you start playing softball? Lauren Quense: I started playing when I was three years old. I have an older sister who was playing tee ball, and I was the bat girl [laughs], and it kinda just stuck from there on out. My dad was the coach so we would practice all the time, and it’s been my whole family. Like I said, my sister was involved in it, she played in college. So it’s kind of just been since I was three and it stuck with me since then. TFR: Can you tell me about the recruiting process? 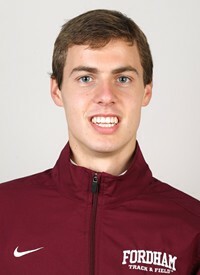 Why did you end up choosing Fordham? LQ: Well, the recruiting process is so stressful. [laughs]. 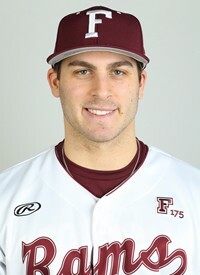 I ended up choosing Fordham; I believe it was my junior year. Obviously, I was getting looked at by other schools, East Coast primarily, but I mean, the thing that stuck out to me was New York City. I wanted to be in the city, I knew that. And also, it’s the coaching staff and meeting the other players coming in with me, and getting to talk with the other players that went here. Also, the academics, you know, that’s what really sold me on Fordham. So that kind of made it an easy choice. TFR: You were forced to miss most of your sophomore year because of an injury. What was that like and was it hard coming back for your junior year? LQ: Well, I can tell you, missing a whole season due to an injury is probably the worst thing ever, because it just takes a toll on you mentally and physically. It was really hard for me to adjust to it at first, because I had never been hurt in my sport until then, so I think the biggest thing coming back from that injury was just being able to stay positive, and you know, kind of understanding that it’s not going to happen overnight. I’m not going to become as good as I was before overnight, so I think just having that kind of resilience to work through that injury, get back and get on the field with my teammates. A lot of that is accredited to my trainer, Erin, for always being there to help me out and get me through the recovery. Also, you know, family, friends and teammates just being there to support me through that was really big for me. I think most of all, though, it’s a mental thing, because you just can’t play and you have to watch the games and that’s probably the worst thing ever. [laughs] Not being able to help your team if they’re struggling and just kind of being a cheerleader meant I had to take on a different role, which was challenging at first, but I got it down. TFR: Last year you came back from the injury and ended up having to step up for an injured Rachel Gillen to lead the pitching staff on an A-10 title run. What was that experience like and how did it prepare you to be a team leader this year? LQ: I mean, it was awful that Rachel got hurt, but I was definitely ready to take that role on. We were always very supportive of each other as pitchers because it was only me and her. So when that did happen it was obviously not ideal, but we did have people step up, including myself, Lindsay Mayer coming into pitch and some other people taking on different roles at that point. 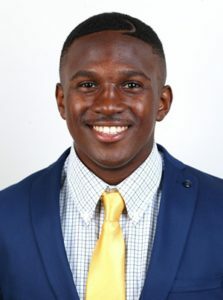 I think just coming in and being able to lead – I’ve been doing that my whole life – and just having my teammates there to back me up and support me was a pretty big deal, considering I was throwing six games in six days. You’re not going to strike everyone out at that point. You’re going to have to use your defense and your offense, so I think just coming together as a team and realizing that we had to do what we had to do to get it done because we were shorthanded. That was what really helped me be able to lead them through that. I kind of just took it on as a challenge. I was like, “Alright, well, this happened, can’t do anything about it now, got to make the best of the situation,” and just got after it, you know? I went into every game like “Alright, it’s me, so, we’re going to get this done. It doesn’t have to be pretty, but we’re going to get it done.” That was basically the outlook I had just to stay tough and get through it knowing that Rachel was going to come back before A-10s. 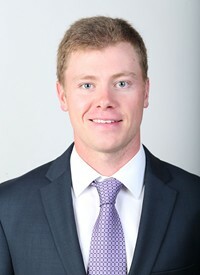 I think it also changed me as a leader for this year, because it gave me a lot of experience in dealing with adversity and having to be like, “There’s really no back up.” Just being able to perform under pressure and get things done under pressure definitely helped me be able to prepare for this year, with three freshman pitchers, as I try to lead that staff and help them be the best they can be. And they’re doing awesome right now, so that’s great. It really just kind of shaped me as a person in the sense where, you know, I had no choice but to step up and so this year I’ve just tried to keep that rolling. 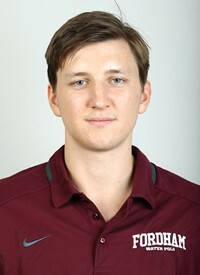 TFR: Well you’ve certainly been rolling since you’ve been at Fordham. Three A-10 titles in three years and a great chance for another one this year. 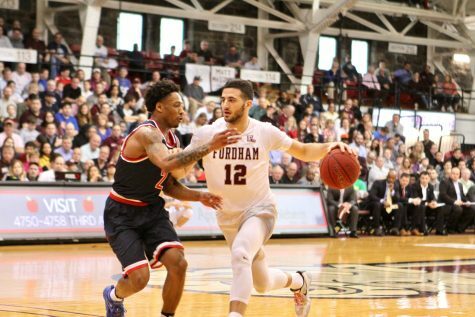 Could you just talk about the enormous success you’ve had at Fordham, both individually and as a team as a whole and what you think accounts for it? LQ: Obviously, we are very excited about winning the past three and going for a fourth this year. I think the biggest thing with that is that we have an atmosphere that really tries to be successful and win, so I think that’s where the drive comes from. Everyone on the team could tell you that. Winning is fun for us, it’s fun for everyone, but that’s just something we go after, something we take pride in that we won three A-10 championships and we’re going for a fourth. As a senior class I’ve got Sydney Canessa in center, I’ve got Amy Van Hoven at shortstop, Lindsay Mayer, Ally Vergona, Steph Ferri. All of us have really come together and said, “Alright, we won the three. Now it’s time to go for the four.” So right now we’re just trying to get after it, get our business done and do what we need to do. TFR: Earlier this season you threw your first career no-hitter. What was that like? LQ: It was awesome. But for me, throwing a no-hitter should be accredited to the team. I mean, yes, I was the pitcher so I threw the no-hitter, but they had to make all the plays behind me, and my catcher, Ally Vergona, that’s a no hitter for her too. So it was really exciting but I just see it as another game. My defense played really well and our bats, well, we smoked them in that game. Again it was exciting, but I think of it as more of a team success, not just for me. TFR: Do you have any post-graduation plans? Does softball figure into them at all? LQ: I just got accepted into the Marketing Intelligence Masters Program here at Fordham. So I’m going to be doing that next year, hopefully playing a fifth year because of my injury during sophomore year. I guess after the graduation after that, my masters graduation, I’d hope to get a job and stay in New York City. Marketing or something along those lines, in that industry, in NYC, is the goal. 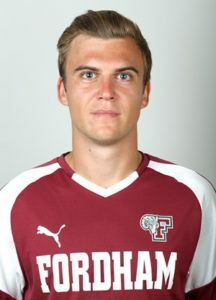 TFR: And finally, what has been your favorite thing about being at Fordham? 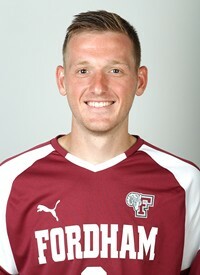 LQ: I guess my favorite thing would definitely be the experiences I’ve had, friendships I’ve made and memories I’ve made on and off the field with teammates, and just with my friends here at Fordham. Just the experiences I’ve had here, on the softball team, off the softball team, going to the city, with my professors, everything. I guess that’s kind of vague.